Ask a question about 804 North Shore Dr, or schedule a tour. 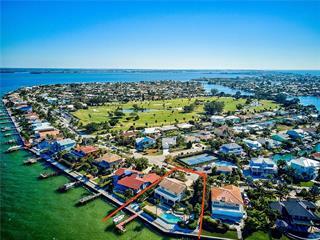 This single family home located at 804 North Shore Dr, Anna Maria, FL 34216 is currently listed for sale by Charles Rutenberg Realty Orlando, with an asking price of $2,279,900. The property was built in 1994 and has 6 bedrooms and 3 baths with 5,462 sq. 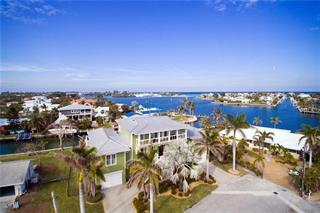 ft. North Shore Drive is located in the Anna Maria neighborhood of the Anna Maria Island area. 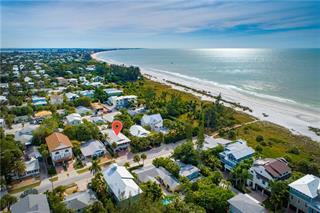 Search all Anna Maria Island real estate on MichaelSaunders.com today. Location! Vacation! Location! If you want to feel like you're always on vacation, then you've come to the right location!!! 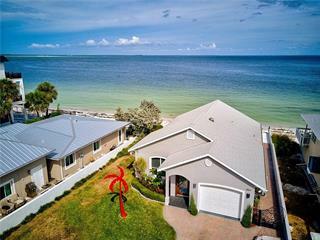 This beautiful gem located at the coveted North Shore of Anna Maria Island, is not only on two prime lots, bu... more.t the home was designed by award winning architect Gene Leedy. 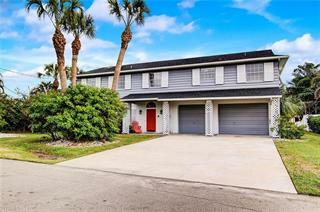 Great memories are bound to happen in this contemporary 5462 sq ft, 6 bedroom, 3 bath home. Travertine marble starts at the street as a wide walkway that continues through tropical foliage to the front door and carries on into and throughout the house and on the terraces.. The kitchen is professional grade with a 48" Wolf range and Sub-Zero refrigerator. There are two family rooms so no need to fight over the TV. But who wants to watch TV when the beach is right across the street! As you ride in the elevator or walk down the wide floating staircase you will feel the stress leave as you look out the 20 ft windows at the natural island vegetation. After the beach, rinse off in your outdoor shower and do a few laps in the pool. In the evenings have a cocktail on one of the many terraces and look across the street at the Gulf as it sparkles in the sunlight before heading back to the beach to see some of the most outstanding sunsets you'll ever see. 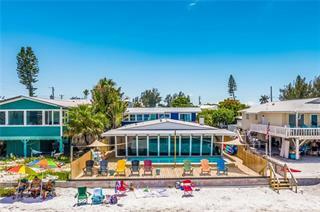 Approved by the City of Anna Maria for 16 guests, this house is an excellent rental. There is ample parking with two garages, paved parking in the front and also the rear of the house.